That two people with the same disease-causing mutation do not get sick to the same extent has been puzzling scientists for decades. Now Professor Andy Fraser and his team have uncovered a key part of what makes every patient different. Professor Andy Fraser “We have shown how genetic background – that is, the unique set of DNA letters present in any person’s genome – influences the severity of any genetic disease,” says Fraser, a professor in the University of Toronto’s Donnelly Centre. The finding advances our ability to predict how severe any inherited genetic diseases will be in each affected person, a key insight into human disease. Their study is published today in Cell, a leading biomedical journal. The onset and severity of genetic diseases can vary widely. For example, people who carry mutations in a gene called CFTR will go on to develop cystic fibrosis (CF), a lung disease where mucus build-up makes breathing difficult and leads to life-threatening infections. But while some patients are diagnosed as newborns, others do not show any signs of the disease until adulthood. Predicting disease severity is critical because often the uncertainty can be almost as frightening as the diagnosis. “At present we can tell little more than that someone will get a genetic disease, but cannot tell them how bad this might be. This is a bit like telling someone that they will have a car crash but not whether this will be a mild bump or a major crash. Changing this uncertainty helps patients greatly and also lets doctors focus on those likely to be most severely affected,” says Fraser, who is also a professor in the Department of Molecular Genetics. Disease-causing mutations mainly strike at a gene’s function – they change the order of DNA letters so that a gene’s product, that is, protein, ends up faulty and unable to do its job in a cell. Genetic background influences how much protein gets made, finely tuning genes like dimmer switches. This means that every person ends up having their own unique amount of thousands of different proteins. If a person carries a disease-causing mutation, the resulting faulty protein will lead to a disease. Fraser’s team found that if the levels of that faulty protein just happen to drop below a threshold, that’s when things start to get worse as the effect of the mutation becomes more severe. This important insight into human disease came from a powerful experimental organism - a lowly worm. 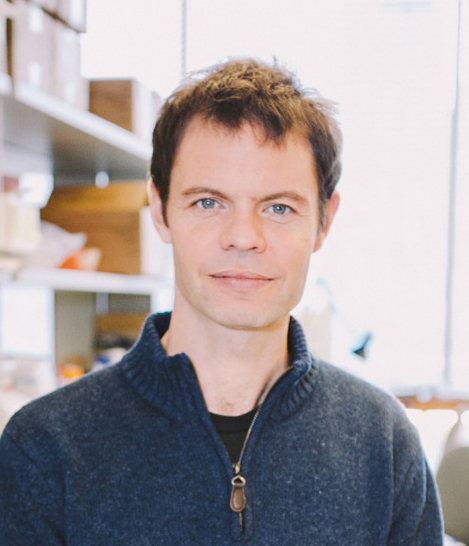 “Worms are the only animals in which we could do this massive scale of experiments to investigate how genetic background affects the severity of genetic disorders,” says Fraser. Following initial experiments that saw a quarter of million worms scrutinized for the effects of genetic mutations, the data were then validated in human cells with the same take-home message: the severity of a disorder is a combination between the fault in the protein and its amount in each individual. Of the three billion DNA letters that make up human genome, an astonishing three million are different between any two people. This genetic variation is great for our lives, underpinning our looks, talents and social interaction. But there is also a more sinister side to this hodgepodge of DNA, as it determines what disease we get and how bad they might turn out to be.